The following Sections shall constitute the terms and conditions, and also governs users (hereafter may also refer to as “you”, “your”, “yours”, “user”, “registrant”, “buyer”, “seller”, “merchant”, ) to your use, access, registration, login and posting of Items to the Souqpinoy.com Website, its related sub-domains, Websites, sub-Websites, tools, applications, and services (hereafter may also refer to as "Website"). For all purposes, Items includes or combination of, products, discount coupons, vouchers, business directory, all classified items like real estate and motor vehicle, and Jobs, all regardless if offered or not for sale or the posting is paid or not. By using, accessing, login and accepting these terms and conditions you directly agree to comply with these terms and conditions with Souqpinoy.com (hereafter may be referred to as "we", "us" or "Souqpinoy.com"). This Term and Conditions is effective upon use, access, register, login to this Website and by acceptance of the Terms and Conditions. If any of the sections of the Terms and Conditions is not agreeable with you and wish not to be bound by the same, please refrain from using, accessing, login the Website. Should you already been using, accessing, registering, login in the Website, please discontinue your use, access, registration, and logout your access to the Website. By continuing to use, access, register, login, notwithstanding, you have fully waive any objections to, admitted to have read and accepted, and will be bound to any of the Terms and Acceptance herein mentioned while you are continuing process of using, accessing, registering, and login in with the Website. Therefore, before you continue to brows, use, access, register, and login the Website, please find the time to read and understand the Terms and Conditions of this Website. The Website Souqpinoy.com and its related intellectual properties are owned, controlled and operated by SP Digital International FZ LLC, registered under the Creative Fujairah Freezone, Fujairah, United Arab Emirates. The Website declares that its users and members are legally able to enter into any form of obligations and contracts. Therefore, use, access, registration, login to this Website by persons under the age of 18 years, or person with legal impediment to enter contracts are prohibited. By continuing the use, access, registration, or login to the Website, you as the use, represent that you are 18 years of age or over, and that has no legal impediment to enter into contracts. The Websites reserves its right to limit or completely remove or withdraw access we believe that person is under the age of 18 years or has legal impediment to enter into contracts. Further, if you are using, accessing, registering, and login as a business entity, you likewise warrant that you hold the full authority to represent and bind that business entity to the Terms and Conditions of this Website and that you and the business entity will comply with all applicable laws relating your transactions with this Website. Finally, the Website strictly prohibits multiple registrations as user of any person or business entity. 1)	As Users of this Website, you agree to be solely responsible for maintaining the confidentiality of, and restricting access to and use of, your account and password, and accept full responsibility for all activities that occur under your account and password. You agree to immediately, without delay, notify Souqpinoy.com of any unauthorized or illegal use of your password or account or any other breach of access or security. In no event will Souqpinoy.com be liable for any direct, indirect or consequential loss or loss of profits, goodwill or damage whatsoever resulting from any disclosure of your username and/or password. Users are absolutely prohibited from using another person's or user’s account at any time, without the express permission of the account holder or lawful account user. You agree to reimburse Website for any improper, unauthorised or illegal use of your account by you or by any person obtaining access to the Website, tools, applications, services or otherwise by using your designated username and password, regardless of your authorization of such access. b)	The word "Souqpinoy" in your registration user ID. 4)	If your registering as a Merchant, your store name shall not include the word "Souqpinoy". 5)	In any case you should be able to acquire other User’s information in accordance with the Terms and Conditions provided herein, in any of your transactions with the Website, you will treat the said information with utmost confidentiality. You will be prohibited to share the same outside of Souqpinoy.com. 6)	You will maintain and promptly update the Registration Data to keep it true, accurate, current and complete at any time mentioned in Sub Paragraph 1 herein. Should you provide any information that is untrue, inaccurate, not current or incomplete or if Souqpinoy.com has reasonable grounds to suspect that such information is untrue, inaccurate, not current or incomplete, or not in accordance with this Terms and Conditions, without prejudice to any other rights and remedies of Souqpinoy.com under this Terms and Conditions or at law, Souqpinoy.com has the right to indefinitely suspend, limit or withdraw your access to the Website and/or your membership of the Website. b)	If you are a business entity or registered on behalf of a business entity such information or documentation may include your trade license, other incorporation documents and/or documentation showing any person's authority to act on your behalf. You agree to provide any information and/or documentation to Souqpinoy.com upon such requests. You acknowledge and agree that if you do not, Souqpinoy.com without liability may limit, suspend or withdraw your access to the Website and/or your membership of the Website. We also reserve the right to cancel unconfirmed / unverified accounts or accounts that have been inactive for a long time. You agree that we may communicate with you by email or by posting notices on the Website. You agree that all agreements, notices, disclosures and other communications that we provide to you satisfy any legal requirement that such communications be in writing. Souqpinoy.com requires your agreement during the registration process to send you promotional emails to let you know about any new changes, features or promotional activities added to the Website. If, at any time, you decide that you do not wish to receive promotional emails, you can opt out of receiving such promotional emails by clicking on the link at the bottom of any promotional email. You acknowledge and agree that Souqpinoy.com shall endeavour to give you notice within the reasonable period of time for any amendment to any part of these Terms and Conditions that are only deemed substantial and will materially increases your obligations or decreases your rights. You acknowledge and agree that Souqpinoy.com at its sole discretion and without liability, may make amendments that are not Substantial Amendments without your further specific agreement at any time with immediate effect by posting a notice of the amendment on the Website. 2)	Souqpinoy.com is an online platform allowing for the sale and purchase of items between end-user sellers or merchants and buyers or consumers. Membership on the Website is free. 3)	Souqpinoy.com does not charge any fee to any buyers or consumers for browsing and buying listed items on the Website. 4) Souqpinoy.com charges transaction fees to all sellers or merchants when their items are successfully sold on the Website. Sellers must pay all fees due and payable to Souqpinoy.com after a successful sale. In the case that a buyer does not complete the transaction, the seller or merchant may seek a refund of the relevant transaction fees from Souqpinoy.com by submitting a no-sale claim. 5)	For related VAT or Sales Taxes, in case they are due, the seller shall be liable for their payment, remittances and the filling of such returns to the appropriate Tax agency. 6)	Before the seller or merchant list an item for sale through the Souqpinoy.com, the seller or merchant had reviewed the fees that will be charged based on Souqpinoy.com Listing Fees which we may be amended from time to time with immediate effect by posting the changes on the Website. Souqpinoy.com may choose to temporarily change the fees for our services for promotional or marketing events or new services, and such temporary changes are effective in accordance with their terms when we post them on the Website. a)	Issue you with a warning regarding the non-payment in question. b)	Temporarily or indefinitely suspend, limit or withdraw your access to the Website and/or your membership, if you fail to make the outstanding payment within 7 calendar days of Souqpinoy.com after the warning is issued. d)	For accounts over 30 days past due, you have authorized Souqpinoy.com to deduct from whatever remaining balance amount still owed by you, either as fund deposit or unremitted amount of sales proceeds, but still held by Souqpinoy.com. Souqpinoy undertakes to inform this action to your email. f)	Take any steps Souqpinoy.com considers necessary including without limitation legal action for recovery of the outstanding fees and/or any applicable taxes and charges. Once payment is successful, the order number, order details and payment confirmation will be sent through email immediately except in or any unforeseen technical delays. 5)	Or other payment methods which Souqpinoy.com may make available on the Website from time to time. All prices for all services and products published in the website are in Arab Emirates Dirham (AED). Therefore, all transactions made in this website will be calculated, converted, paid, exchanged, and intended to be consistent to the Arab Emirates Dirham (AED) currency. We will use the payment gateway for the vouchers only and all other products will be made through cash on delivery or through Paypal. By registering to Souqpinoy.com, you agree to a non-exclusive, worldwide, perpetual, irrevocable, royalty-free right to use any information or material, personal or otherwise, that you provide to us or other users of the Website and/or any of your post on the Website in the registration, bidding, buying, listing or selling process, checkout process or through any e-mail or by way of any other feature or use of the Website for the purposes of operating and promoting the Website in accordance with Terms and Conditions herein. You are solely responsible for the Information, and we act as a passive conduit for your online transactions, distribution and publication of the Information. 6)	Engage in false or fraudulent activity in connection with the use of the Website. ▪	You are aware and understood any existing Buyer and Consumer Protection Laws in the country you are offering to sell your items and further warrants to comply and obey its provisions while performing all transactions with Souqpinoy.com. ▪	You will not disclose or publicise any personal information about users or otherwise access or use information about other users in a manner which in our sole determination may constitute a breach of privacy and/or applicable laws. All content included on the Website, including but not limited to text, graphics, logos, button icons, images, audio clips, digital downloads, data compilations and software, is the property and copyright work of either Souqpinoy.com, its users, its content suppliers, merchants or its licensors and is protected by copyright, trademarks, patents or other intellectual property rights and laws. The compilation of the content on the Website is the exclusive property and copyright of Souqpinoy.com and is protected by copyright, trademarks, patents or other intellectual property rights and laws. "Souqpinoy.com" and related logos, and other words and logos on the Website are either unregistered trademarks or registered trademarks of Souqpinoy.com and are protected by international trademark and other intellectual property rights and laws. Souqpinoy.com's trademarks may not be used in connection with any product or service that is not Souqpinoy.com's nor in any manner that disparages or discredits Souqpinoy.com. All other trademarks not owned by Souqpinoy.com that appear on the Website are the property of their respective owners, who may or may not be affiliated with, connected to, or sponsored by Souqpinoy.com. Souqpinoy.com adheres to the all and any laws for the protection of Buyers or Consumers who may use Souqpinoy.com. in buying items online. Therefore, existing Buyer or Consumers Protection Law in United Arab Emirates or in any country Souqpinoy.com is authorized to do business, shall form part and becomes an integral part of these Terms and Conditions. Soupinoy.com seeks to assist buyers to ensure their purchase is protected against fraud by any sellers on the Website. If a buyer has purchased an item by way of any of the Souqpinoy payment system processes and never received it or received an item worth significantly less in value compared to what was described by the seller, the buyer may seek remedy to protect his/her rights against the seller. Souqpinoy.com action may include reimbursement by Souqpinoy.com to the buyer of the value of the item only. To be eligible under thus remedy, a buyer needs to file a complaint with Souqpinoy.com within 48 hours of receiving or not receiving the relevant item. Souqpinoy.com will investigate the matter and if it has been determined by Souqpinoy.com, in its sole determination that the seller has intentionally defrauded the buyer in relation to the item for which Souqpinoy.com has reimbursed the buyer, Souqpinoy.com may limit, suspend or withdraw the seller's access to the Website, including withdrawal of all item listing in the Website, and/or the seller's membership. Souqpinoy.com reserves the right to charge the seller for the actual reimbursed costs the buyer plus any additional fees for any handling and shipping may be incurred internally or those incurred externally against any third party persons to perform any remedy favorable to the buyer. Souqpinoy.com reserves the right to take such further steps as it considers necessary including without limitation legal action. You acknowledge and agree that if any item returned to Souqpinoy.com by a buyer on the reason that the item sold is illegal or otherwise unlawful that Souqpinoy.com may in its sole discretion destroy the item or take any other steps as it considers necessary, including surrendering the Item/s to its lawful authorities like the Police. Return of Item/s purchased within the website is generally allowed subject to the following conditions. 3. In case the submitted return request by customer is not approved by Souqpinoy.com and the customer rejected to receive back the unit, Souqpinoy.com has the right after 60 days from customer’s rejection date to dispose the item. 2)	If the Return item is due solely to Buyer's Fault. In this case, the item in the original state & condition when purchased and received. a)	If the buyer claimed and made the actual return within the 15 Days of the date of delivery. b)	If the buyer claimed and made the actual return after the 15 Days of the date of delivery, only if returned approved is approved by Souqpinoy.com. There is a no-refund policy on clothes, undergarments, perishable or intimate items that cannot be sold after use. a. If your SP Deals and Promotions voucher has expire. b. If you make a double purchase. c. If you change your plans. d. If you accidentally purchase a SP Deals and Promotions voucher deal. e. If you cite any other personal reasons. Items can be reported as a canceled after a maximum of 7 days of use. After which it will be at discretion of the management. The returned items should be in original packaging the same way it was delivered. If any items were returned after use or personal damage it might not be accepted as a cancellation. Within UAE: Same Day delivery Costs AED 49 within Dubai, Sharjah and Ajman, Carrier is: Souqpinoy.com Logistic team or 1click2deliver.com. Within UAE: Free Delivery , Selected Products only, and when a" Marked as Free Shipping product " is added to the cart, means all the purchases in the cart become Free delivery as long as no BIG ITEMS are included ( Fridge, TV ,ETC ). Within UAE: 1-4 Days’ Time, Costs Varies case to case, Big Items Delivery. Souqpinoy.com will NOT deal or provide any services or products to any countries that United Arab Emirates are prohibited by law to trade with. 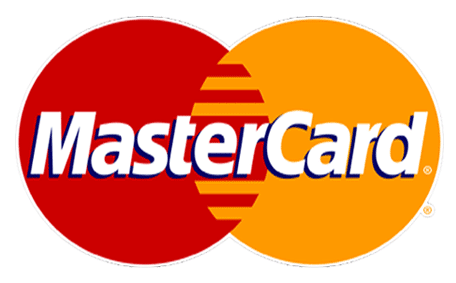 Credit / Debit Card: This Method is accepted within UAE only. Paypal: Within UAE, GCC and World Wide. a.	Souqpinoy.com is not responsible for any non-performance or breach of any contract entered into between users and does not transfer legal ownership of items from the seller to the buyer. The contract for sale of any item shall be a strictly bipartite contract between the seller and the buyer. At no time shall any right, title or interest over any item vest with Souqpinoy.com nor shall Souqpinoy.com have any obligations or liabilities in respect of such item or the contract between the buyer and seller. b.	Souqpinoy.com is not responsible for unsatisfactory or delayed performance, losses, damages or delays as a result of items which are unavailable. c.	Souqpinoy.com is not required to mediate or resolve any dispute or disagreement between users. d.	Souqpinoy.com has no control over and does not guarantee the quality, safety or legality of items advertised, the truth or accuracy of users' content or listings, the ability of sellers to sell items, or the ability of buyers to pay for items. e.	Souqpinoy.com does not make any representation or warranty as to the attributes (including but not limited to quality, worth or marketability) of the items proposed to be sold or purchased on the Website. In particular, Souqpinoy.com does not implicitly or explicitly support or endorse the sale or purchase of any items on the Website, nor is Souqpinoy.com a supplier or manufacturer of any items sold by users or purchased by users. f.	Souqpinoy.com does not make any representation or warranty as to the attributes including but not limited to legal title, creditworthiness, or identity of any of its users. g.	The Website may include links to third party s that are controlled by and maintained by others. Souqpinoy.com cannot accept any responsibility for the materials or offers for goods or services featured on such s and any link to such s is not an endorsement of such s or a warranty that such s will be free of viruses or other such items of a destructive nature and you acknowledge and agree that Souqpinoy.com is not responsible for the content or availability of any such Websites. However you acknowledge and agree that you may not include links in any user-posted content on the Website. h.	Users shall independently agree upon the manner and terms and conditions of delivery, payment, and insurance as between each other and Souqpinoy.com holds no responsibility in respect of such arrangements. i.	Souqpinoy.com accepts no liability for any errors or omissions, whether on behalf of itself or third parties. j.	Souqpinoy.com excludes all implied warranties, terms and conditions and is not liable for any loss of money, goodwill or reputation, or any special, indirect or consequential damages arising directly or indirectly, out of your use of or your inability to use the Website. k.	You release and indemnify Souqpinoy.com and/or any of its officers and representatives in respect of any claim, demand, dispute, cost, damage, liability or other consequence (direct or indirect) of any of the actions of the users of the Website and you specifically waive any claims that you may have in this behalf under any applicable law. Souqpinoy.com and its affiliates shall have the right to discard, destroy, liquidate or auction and as it may deem appropriate any of the Sellers goods/Items within sixty (60) days after receipt by the Courier Company in the event of those goods/Items are being returned/undelivered from the Customers for any reason, provided that the Seller has been notified of the said return of the Items/Goods by email to his email address provided by the Seller and in the event that the Seller did not arrange for the pickup of the these returned items/goods. This clause shall be considered as an explicit authorization to Souqpinoy.com to destroy and/or liquated any of the items/goods mentioned above and shall be without any objection from the Sellers and without any liability to Souqpinoy.com. Furthermore, Souqpinoy.com is also authorized to deduct any fees or costs that might be incurred through the disposition and/or liquidation of the above which shall be claimed and/or deducted from the account of the Seller. All credit and debit cards details and personally identifiable information will NOT be stored, sold, shared, rented or leased to any third parties. The Terms and Conditions may be changed or updated occasionally to meet the requirements and standards. Therefore the Customers’ are encouraged to frequently visit these sections in order to be updated about the changes on the Website. Modifications will be effective on the day they are posted. Without prejudice to any other rights and remedies of Souqpinoy.com under these Terms and Conditions, the law or otherwise, Souqpinoy.com may immediately, thout liability, limit your activity, remove your listings, warn other users of your actions, suspend, limit or withdraw your membership, and/or limit or withdraw your access to the Website, if found that you have violated or committed any breach to the Terms and Conditions of these Website. Souqpinoy.com may at any time at its sole discretion reinstate suspended users. A user that has been indefinitely suspended or had their membership withdrawn will be forever be ban from register or attempt to register with Souqpinoy.com including its business entity or affiliates or use the Website in any manner whatsoever until such time that such user is reinstated by Souqpinoy.com. Notwithstanding the foregoing, if you breach this Terms and Conditions Souqpinoy.com reserves the right to recover any amounts due and owing by you to Souqpinoy.com or any losses and damages caused by you to Souqpinoy.com and to take such steps including legal action and/or the initiation of criminal proceedings against you as Souqpinoy.com in its sole discretion deems necessary. Our failure to act with respect to a breach by you or others does not constitute a waiver of Souqpinoy.com's right to take any actions with respect to that, or subsequent or similar breaches. Souqpinoy.com does not guarantee that it will take action against all breaches that there may be of this Terms and Conditions. All purchases on the Website are a commitment by you to complete and finalize the purchase of the item on which you have initiated and purchased. If you are the purchaser for any item and your Purchase is accepted by the seller, you are obligated to complete the transaction with the seller. You may increase the volume of Purchase but you may not reduce the amount or volume Purchase or withdraw / cancel your Purchase. By purchasing an item you agree to be bound by the conditions of sale included by the seller in the item's description on the Website so long as those conditions of sale are not in violation of the website Terms and Conditions or are not in compliance with applicable laws. As a buyer on the Website we encourage you to post feedback on the seller after purchased is closed. In case of consumer goods generally available in retail stores, sellers on the Website may or may not specify the normal retail prices of items being sold. Buyers are advised to independently verify the retail prices of such items if you so desire. You agree not to test the Website with false purchases, nor to use a false name, other false personal information or use an unauthorised or known invalid credit card to Purchase. Without prejudice to the rights and remedies available to Souqpinoy.com under this Terms and Conditions or at law, Souqpinoy.com may take such steps as it deems appropriate or necessary including taking legal action against users who intentionally enter erroneous, fictitious or fraudulent Purchases. Please be aware that even if you do not give Souqpinoy.com your real name, your web browser transmits a unique address to us, which can be used by law enforcement officials to identify you. As User buying using their Credit Card, you undertake to retain a copy of your transaction records relating to you transactions with Souqpinoy.com. Likewise, you also warrant that you have read and agree with the Merchant policies and rules of your Credit Card and warrant that the use of this Card/s with Souqpinoy.com is in accordance to the same. Souqpinoy.com cannot sell electronic items outside UAE and GCC Countries. As a registered member of the Website, you may list item(s) for sale on the Website. You may only offer for sale or sell item(s) on the Website in compliance with applicable laws and you must be legally able to offer for sale or sell such items under applicable laws. Listings may only include text descriptions, graphics and pictures that describe your item for sale. All listed items must be listed in an appropriate category on the Website. Any form of solicitation of business offline or outside of the Website in the item listing or elsewhere on the Website other than in your registration data is expressly prohibited and would constitute a breach of these Terms and Conditions. All of your listed items must be kept in stock to allow for the immediate completion of your transaction with a Buyer. The listing description of the item must not be misleading and must describe the actual current condition of the item. If the item description does not match the actual current condition of the item, you agree to refund any amounts in relation to that item that you may have received from the buyer. You acknowledge and agree that Souqpinoy.com has the right to delete any of your listed items should it determine that the same is in violations with your terms and conditions with Souqpinoy.com. You agree to contact or ship to the Buyer within 48 hours of an item selling successfully and supply the item to the Buyer in a merchantable condition within 48 hours of after verifying payment by the Buyer or confirming the order by the Buyer, especially in cases if payment is to be made through CASH ON DELVERY, unless the Buyer fails to meet the terms of your listing, you cannot authenticate the Buyer's identity by way of making direct contact with them, or as otherwise agreed between you and the Buyer. As sellers on the Website we encourage you to post feedback on each buyer after sales is closed. Please note that the contact information that will be sent out will be the information that is provided by the users in their registration data on Souqpinoy.com. You acknowledge and agree that Souqpinoy.com has the right to use your registration data for this purpose and a that Souqpinoy.com is not responsible for the accuracy or otherwise of any user's registration data. You acknowledge and agree that you will not use another user's data for any purpose other than fulfilling a relevant transaction resulting from selling item(s) on the Website. You acknowledge and agree that your feedback consists of comments left by other users with whom you transact and a composite feedback number compiled by Souqpinoy.com, and that together these convey your full user profile. As feedback ratings are not designed for any purpose other than for facilitating trading between the users, you agree that you shall not market or export your Souqpinoy.com feedback rating in any venue other than on the Website. Souqpinoy.com does not provide the technical ability to allow you to import feedback from other s to the Website because a composite number, without the corresponding feedback does not reflect your true online reputation within our community. Without prejudice to any other rights and remedies of Souqpinoy.com under this Terms and Conditions or at law or otherwise, Souqpinoy.com may limit, suspend or withdraw your membership and / or your access to the Website at any time, without notice, for any reason, including without limitation, breach of this Terms and Conditions. Souqpinoy.com provides the Website and its services on an "as is" and "as available" basis without any representation or endorsement made and without any warranty or guarantee of any kind whether express or implied, including but not limited to warranties of title, merchantability, fitness for a particular purpose, compatibility, security, accuracy and non-infringement. Souqpinoy.com makes no representations or warranties about the accuracy, reliability, or completeness of any content, information, software, text, graphics, links or communications provided on or through the use of the Website or that the operation of the Website will be error free and/or uninterrupted. Souqpinoy.com makes no warranty that defects will be corrected or that the Website or its servers are free of viruses or anything else which may be harmful or destructive. The nature of Internet communications means that this Website may be susceptible to data corruption, interception, non-availability and delays. The Website may also be unavailable from time to time due to repairs, maintenance or development work. You agree that Souqpinoy.com has no obligation to provide support for the Website. You expressly agree that you use the Website at your own risk. To the extent permitted by law, Souqpinoy.com, its officers, employees, agents, affiliates and suppliers shall not be liable for any loss or damage whatsoever whether direct, indirect, incidental, special, consequential or exemplary, including but not limited to, losses or damages for loss of profits, goodwill, business, opportunity, data or other intangible losses arising out of or in connection with your use of the Website, its services or this Terms and Conditions. If you are dissatisfied with the Website or any content or materials on it, your sole exclusive remedy is to discontinue your use of it. Further, you agree that any unauthorised use of the Website and its services as a result of your negligent act or omission would result in irreparable injury to Souqpinoy.com and Souqpinoy.com shall treat any such unauthorised use as subject to the terms and conditions of this Terms and Conditions. You agree to indemnify and hold Souqpinoy.com and its affiliates, officers, employees, agents and suppliers harmless from any and all claims, demands, actions, proceedings, losses, liabilities, damages, costs, expenses, including reasonable legal costs and expenses., howsoever suffered or incurred due to or arising out of your breach of this Terms and Conditions, or your violation of any law or the rights of a third party. None of the provisions of this Terms and Conditions shall be deemed to constitute a partnership or agency between you and Souqpinoy.com and you shall have no authority to bind Souqpinoy.com in any manner whatsoever. Except as explicitly stated otherwise, any notices to Souqpinoy.com from you shall be given by you by email to Souqpinoy.com at [email protected] with a physical copy sent to us by mail or courier, such notice deemed given on confirmation of its receipt to you by Souqpinoy.com by return email. Any notices to you from Souqpinoy.com shall be given by notices posted on the Website or by email to the email address you provide to us during the registration process and shall be deemed to be received by you 24 hours after any such email is sent. Alternatively, we may give you notice by mail or prepaid shipping to the address provided to us during the registration process. In such case, notice shall be deemed given 7 days after the date of mailing. You hereby grant Souqpinoy.com the right to, and irrevocably acknowledge and agree that Souqpinoy.com may at any time, transfer all or any part of its rights, benefits, obligations or liabilities, express or assumed, under this Terms and Conditions to any of its affiliates without requiring your further specific agreement. Souqpinoy.com agrees to use all reasonable endeavors to provide notice to you of any transfer by way of a posting on the Website. You may not at any time, without the prior written consent of Souqpinoy.com, transfer all or any part of your rights, benefits, obligations or liabilities express or assumed under this Terms and Conditions without the prior written consent of Souqpinoy.com. If any clause of this Terms and Conditions shall be deemed invalid, void or for any reason unenforceable, such clause shall be deemed severable and shall not affect the validity and enforceability of the remaining clauses of this Terms and Conditions. This Terms and Conditions (as amended from time to time in accordance with the terms of this Terms and Conditions) sets forth the entire understanding and agreement between you and Souqpinoy.com with respect to the subject matter hereof. No person who is not a party to this Terms and Conditions shall have any right to enforce any term of this Terms and Conditions. If these Terms and Conditions is translated into any language other than English, whether on the Website or otherwise, the English text shall prevail. Souqpinoy.com will NOT deal or provide any services or products to any of OFAC (Office of Foreign Assets Control) sanctions countries in accordance with the law of UAE. If any dispute, claim, controversy or difference (hereafter refer to as "Dispute") arises out of or in connection with or in relation to this Terms and Conditions, including without limitation any question regarding the formation, existence, scope, performance, interpretation, validity or termination of this Terms and Conditions or this clause, or any question regarding the legal relationships established by this Terms and Conditions or the consequences of its nullity, then the parties shall first attempt amicably to settle the Dispute through good-faith negotiations over a period of thirty (45) calendar days commencing on the date that a party first sends to the other party a written notice of the Dispute. In the event that a Dispute has not been settled amicably by the relevant parties by the end of such thirty (45) calendar day-period, the parties hereby agree that the Dispute shall be referred to and finally resolved by binding arbitration as set out below, under the Arbitration Rules of the Dubai International Financial Centre Arbitration Court (DIFCAC, Dubai, United Arab Emirates, which rules (hereafter referred as "Rules") are deemed to be incorporated by reference into this clause. The number of arbitrators shall be one. The parties to the arbitration shall seek to agree on a sole arbitrator to be nominated to the DIFCAC for appointment. If the parties to the arbitration fail to nominate a sole arbitrator within 45 days from the date of the service of the request upon the respondent (or such greater or lesser period as may be fixed by the DIFCAC, the sole arbitrator shall be appointed by the DIFCAC. The seat or legal place of the arbitration shall be Dubai International Financial Centre in Dubai, UAE. The arbitration proceedings shall be conducted in the English language and the award shall be in English. The foregoing provisions of this clause are without prejudice to the right of Souqpinoy.com to seek interim relief at any time from any court of competent jurisdiction (whether or not an arbitrator has been appointed) and Souqpinoy.com shall not be deemed to have breached this arbitration agreement or infringed the powers of the arbitrator for having done so. This Terms and Conditions is governed by, and construed in accordance with, UAE law. This clause will survive any expiry or cancellation of this Terms and Conditions for any reason. For all legal purposes, United Arab of Emirates is our country of domicile.